Wahoo! 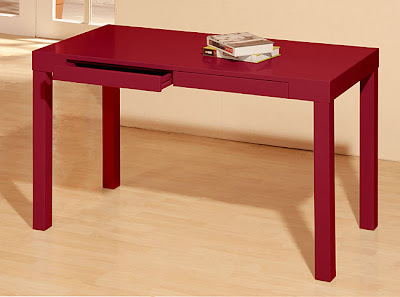 Thanks to a discerning and very good friend of mine, I learned this evening that the West Elm parsons desk look-alike is back at overstock.com! You can get the same look for half the cost of the WE desk ($150 compared to $299). And at the risk of sounding like a discount carpet store commercial, hurry! These won't last. The desk is available in black, red, and my favorite, white. 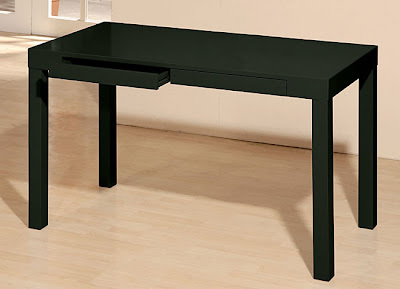 *Note: I had already encouraged another friend to purchase this desk in black a few months ago, and so you know, the quality is excellent and super easy to assemble. It's definitely stylish but personally I like a bigger desk. However, a smooth surface is crucial. I love this desk! Only $150?! That's amazing! I really like your blog - I'm following you now! Nathan: I agree about wanting more work space. But I so love this desk. SoCal: It is an amazing deal! I've been looking at desks for a couple months now, and it doesn't get much cheaper than this, especially when you consider the quality. And thank you, thank you! Feel free to spread the word! Hi Alaina! I love your blog, I read it every morning with my coffee. 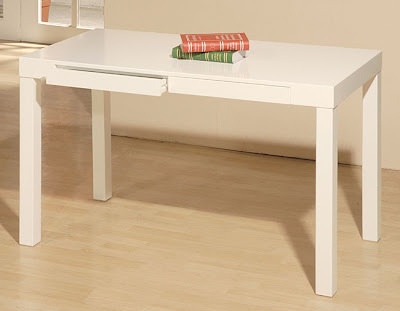 I am strongly considering purchasing the parsons desk for my home office, but am having a hard time envisioning how I would set up my computer on it. I have a newer imac, so I don't need to worry about the PC tower, but will need to connect wires to the cable modem box and outlet. Any suggestions?